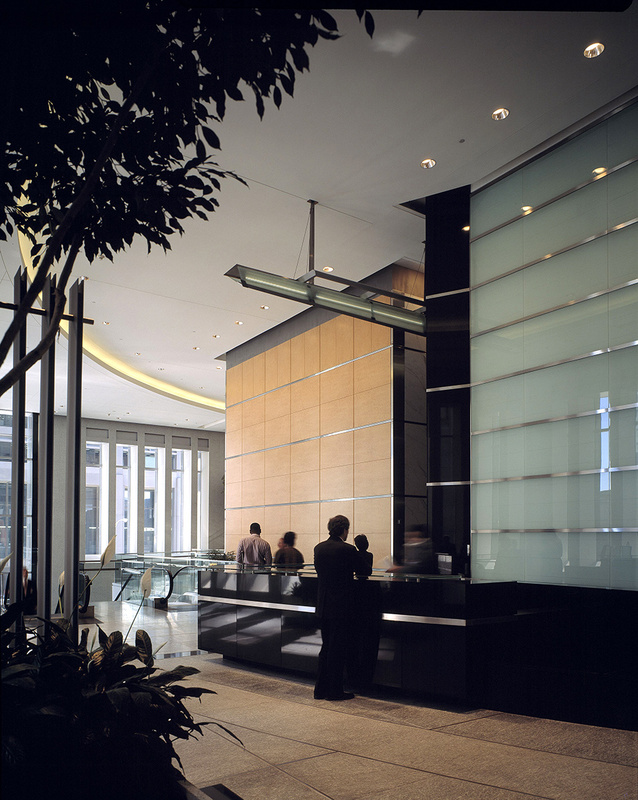 This totally renovated and redeveloped structure gives the power company a chance to showcase energy conservation techniques for building retrofits. 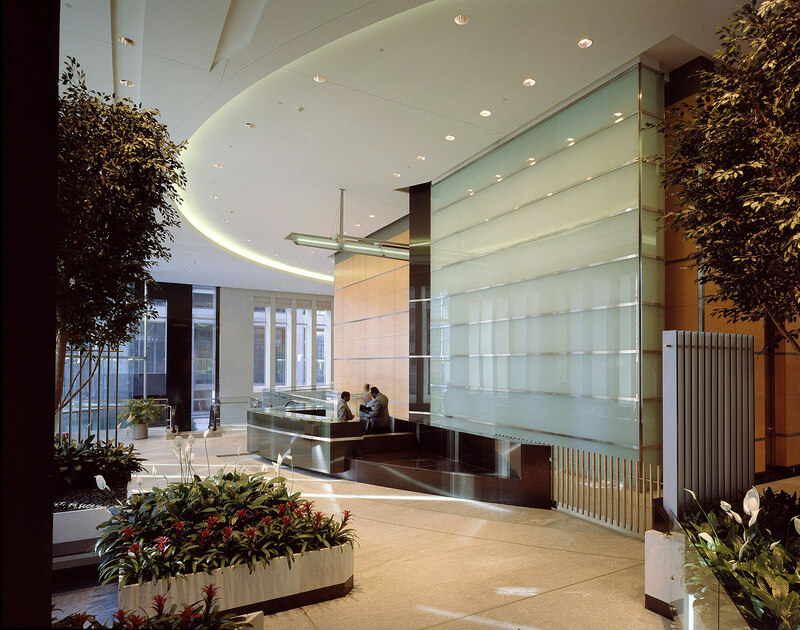 The existing 1.2 million square feet of office space, which had become outmoded by current standards, was modernized using systems that embrace Intelligent Building Design. 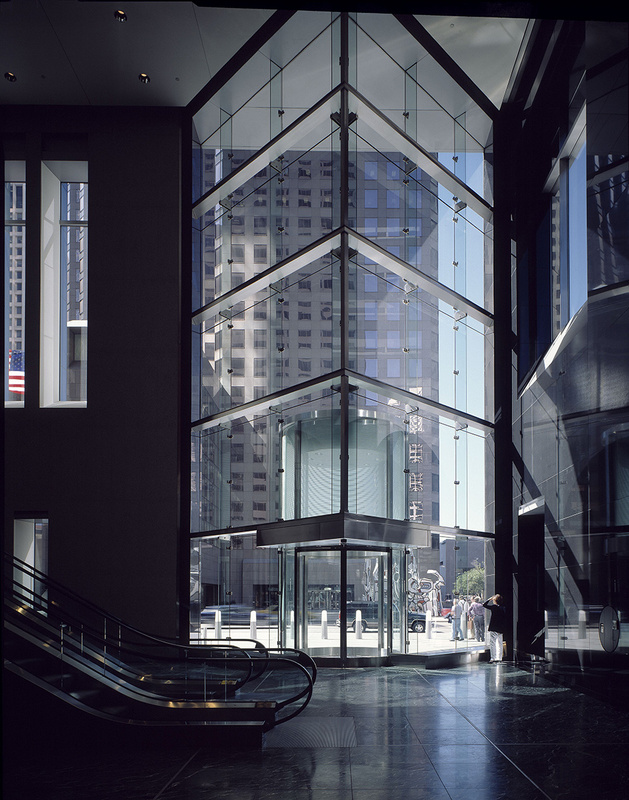 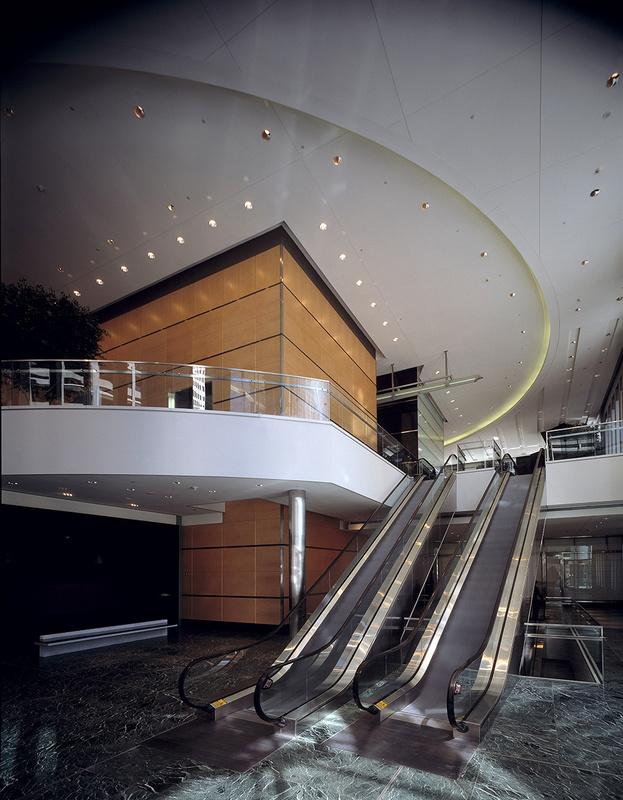 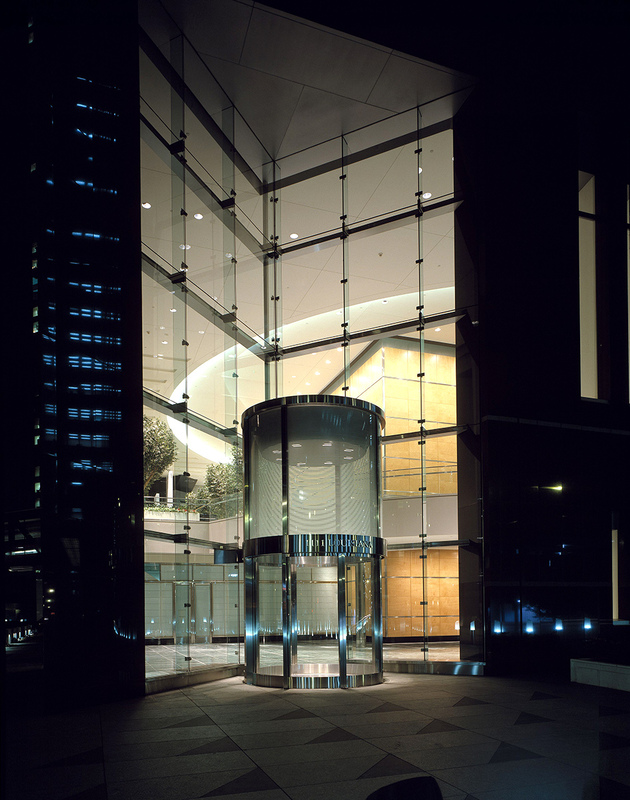 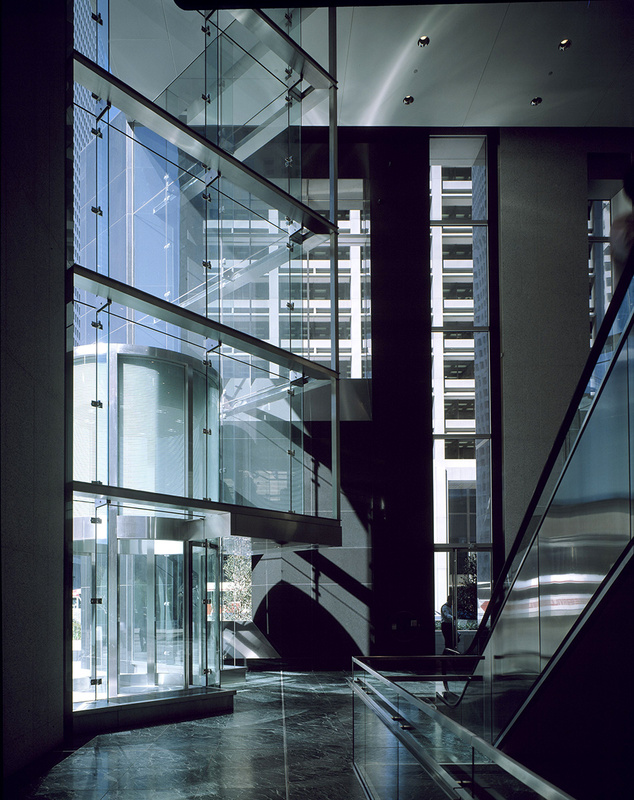 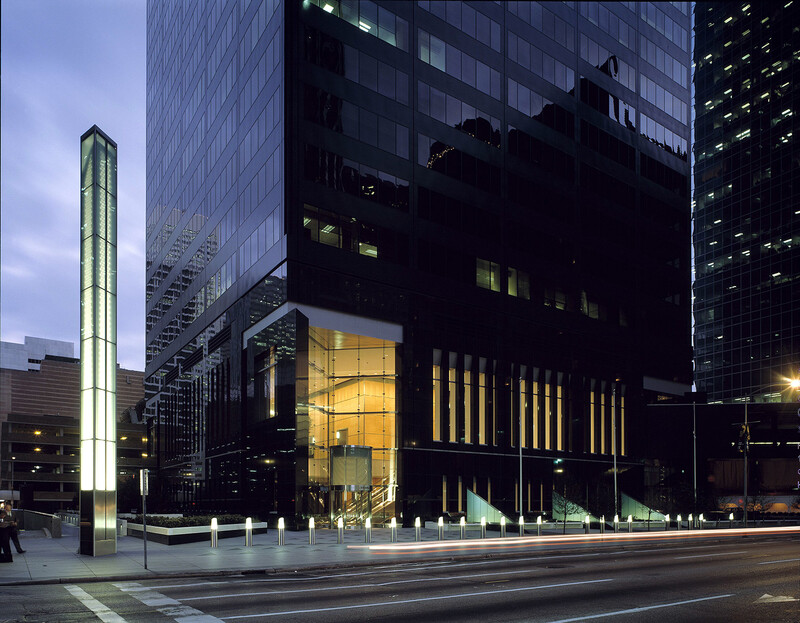 The sloped glazing of a projecting lobby at the base of the existing building, which had deteriorated over the years, was removed and the entire podium was reconfigured to provide a generous plaza at the street and a handsome glass and stone building lobby. 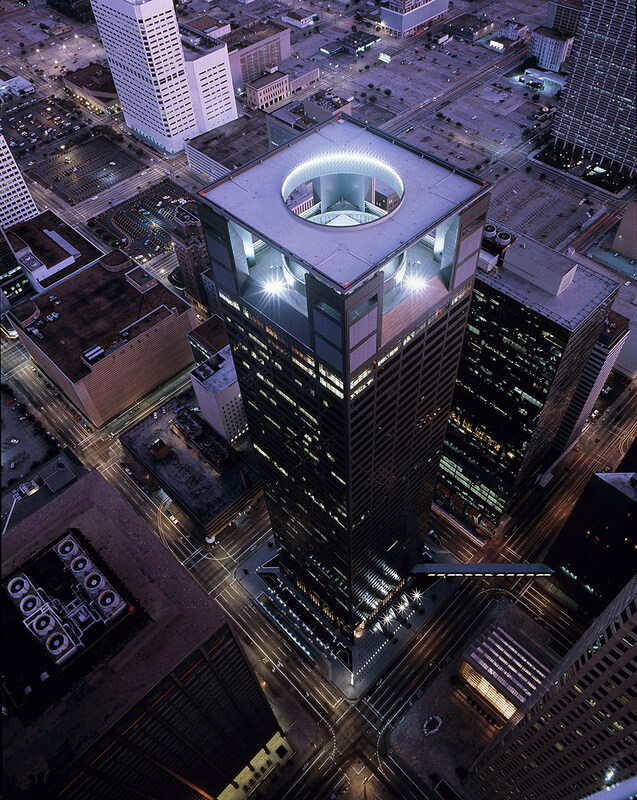 At the top of the tower the renovation added a tabletop enclosure with an oculus to enclose the penthouse and cooling towers. 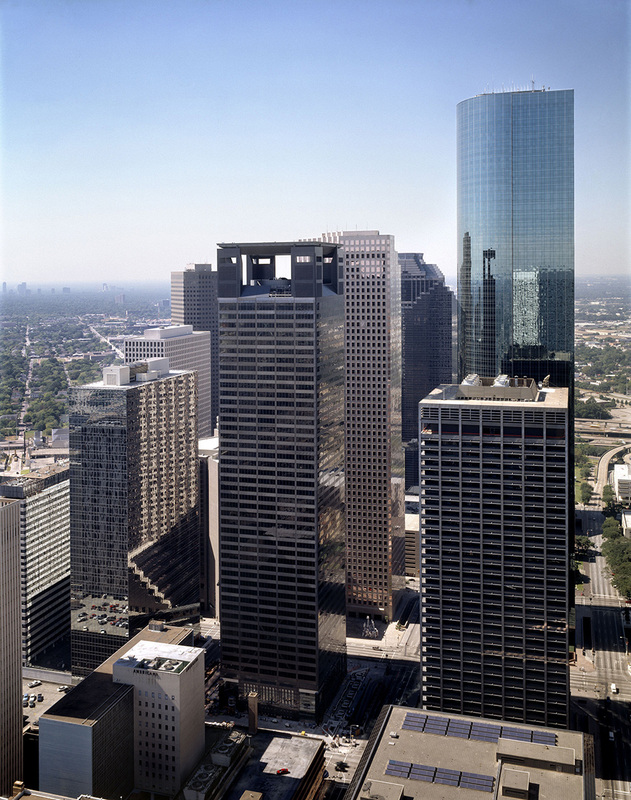 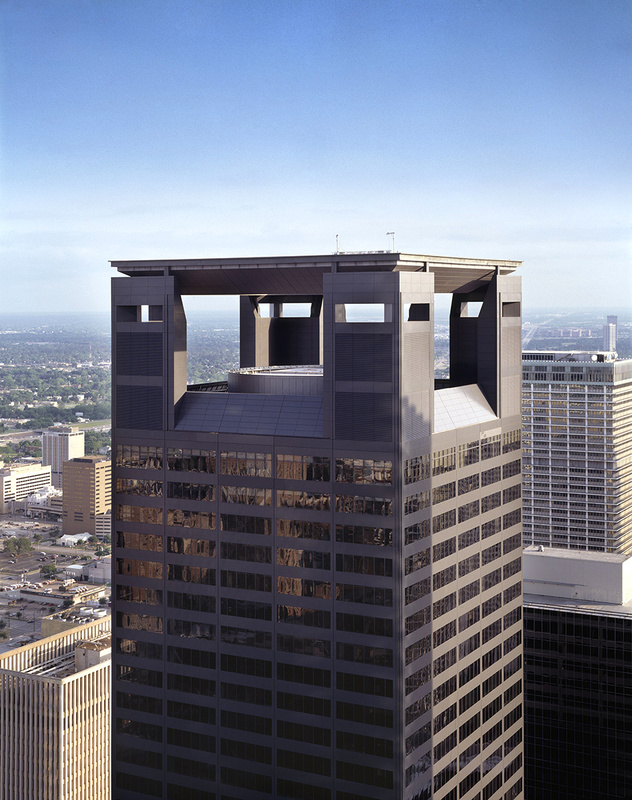 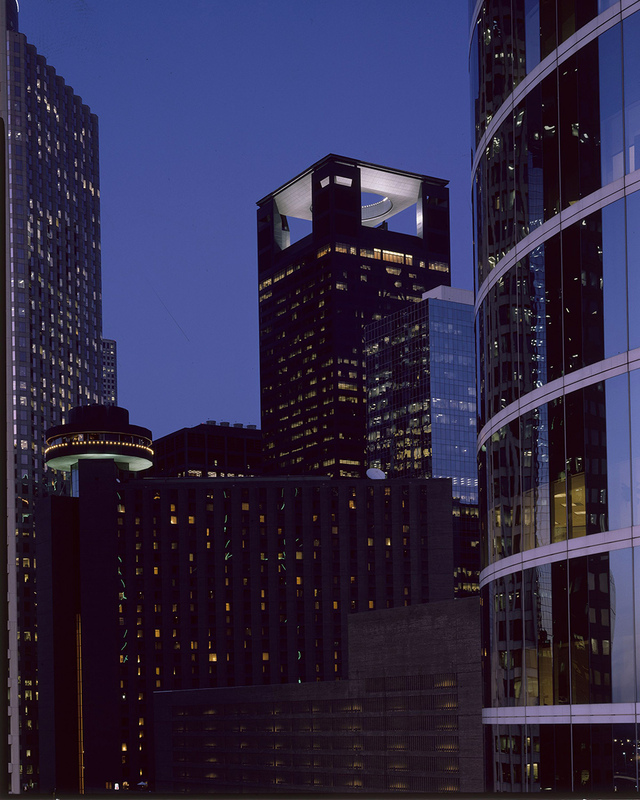 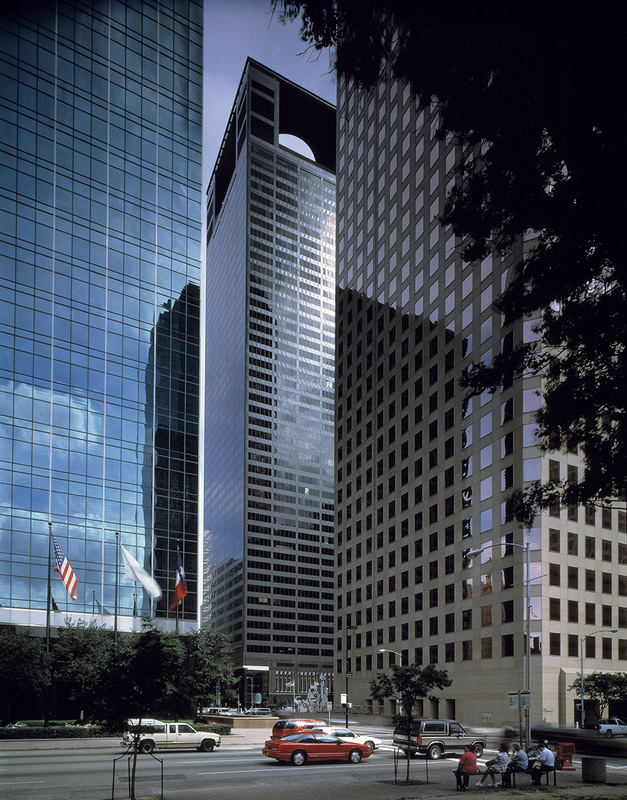 This new top helped to give the tower an instant identity amongst the tall towers of downtown Houston, a distinctive image that is a favorite of Houstonians and visitors to the city alike.